A team of Japanese researchers has introduced a novel sensor concept capable of discriminating various types of influenza virus in a label-free fashion by their distinct particle properties. Rapid diagnosis of influenza infection before onset of symptoms would improve health care by reducing risk for serious complications as well as by preventing infectious disease outbreaks. Sensor sensitivity and selectivity are critical to accomplishing this goal, as the number of virus particles is quite small at the early stage of infection. 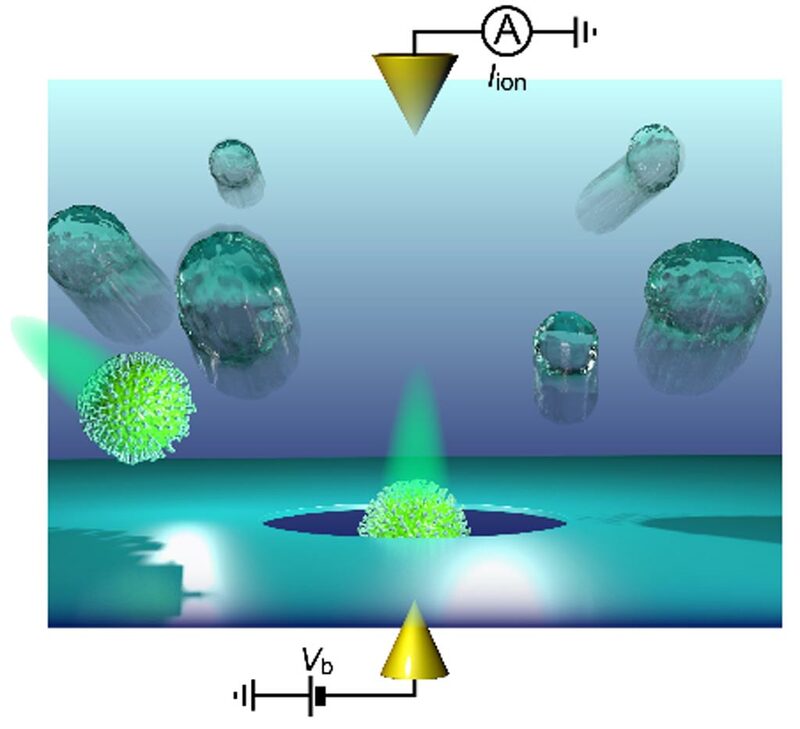 Image: An illustration showing detection of a single influenza virion using a solid-state nanopore (Photo courtesy of Osaka University). To overcome the low particle number problem, investigators at Osaka University (Japan) developed a nanopore device with electroosmotic flow (liquid motion induced by an electric current across the nanopore) properties that ensured that the pore channel would block the passage of non-virus particles. The nanopores were designed to have low thickness-to-diameter aspect-ratio structure so as to render additional sensitivity to the particle shape and surface charges. This provided resistive pulses holding a complex set of information concerning not only the nanoparticle volume but multiple physical properties of the intact viral particles. To evaluate the information set, the investigators employed machine-learning-driven pattern-analysis of the electrical signatures. This allowed for rapid detection and simultaneous subtype differentiation of virus particles with an ultimate sensitivity of single-particle discriminations. Results demonstrated the ability to identify allotypes with 68% accuracy at the single-virus level. "We used machine-learning analysis of the electrical signatures of the virions," said contributing author Dr. Makusu Tsutsui, associate professor of scientific and industrial research at Osaka University. "Using this artificial intelligence approach to signal analysis, our method can recognize a slight current waveform difference, which cannot be discerned by human eyes. 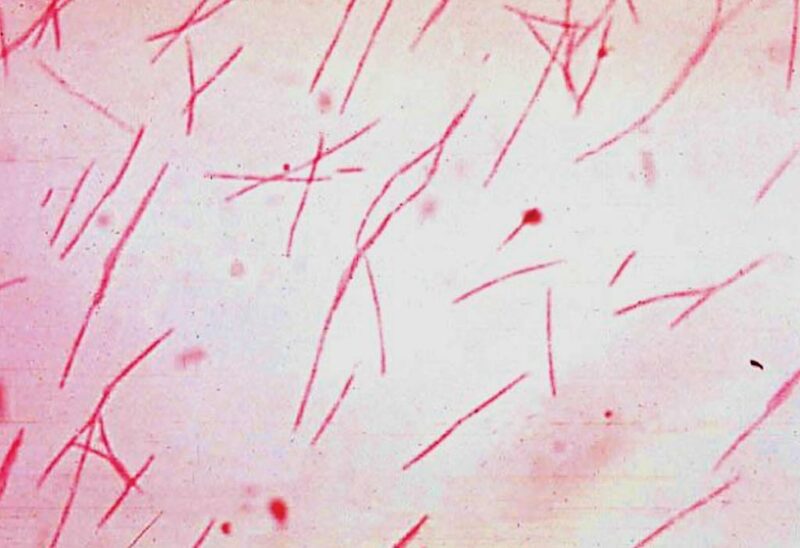 This enables high-precision identification of viruses." "Our testing revealed that this new sensor may be suitable for use in a viral test kit that is both quick and simple," said first author Akihide Arima, a researcher in the chemistry department at Osaka University. "Importantly, use of this sensor does not require specialized human expertise, so it can readily be applied as a point-of-care screening approach by a wide variety of healthcare personnel." The nanopore technique for detecting influenza virus was described in the November 2, 2018, online edition of the journal Scientific Reports.